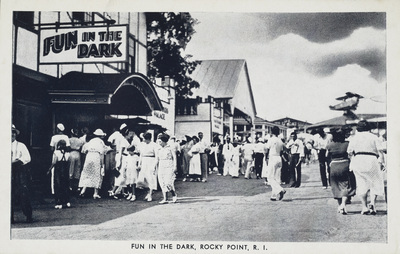 "Fun In The Dark, Rocky Point, R.I." by Max Latt, Providence, R.I.
Fun In The Dark, Rocky Point, R.I.
Max Latt, Providence, R.I., "Fun In The Dark, Rocky Point, R.I." (1935). Rhode Island Postcards. 339.